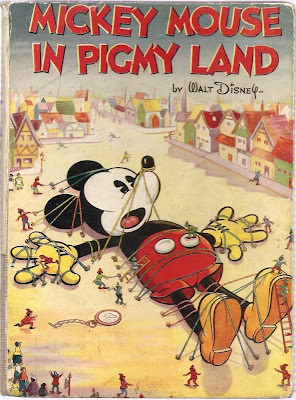 They are illustrated story adaptations of Gulliver Mickey (1934) and Mickey's Man Friday. 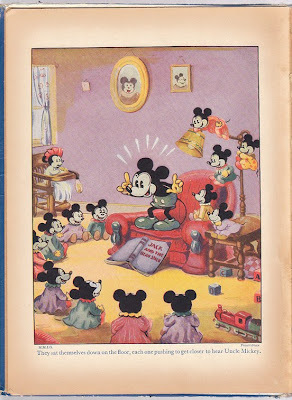 These two books were published, with identical covers, in the US by Whitman in 1936, that is one year after Collins' books came out, which indicates that Collins' early Mickey Mouse books were originally British-made and not British editions of US publications. 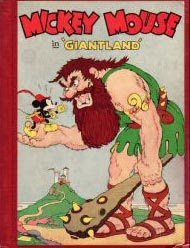 Collins' last illustrated books derived from Mickey Mouse cartoons were Mickey Mouse Fire Brigade (1936) and Mickey Mouse and Pluto the Pup (1936), adaptations of Mickey's Fire Brigade (1935) and Pluto's Judgement Day (1935) respectively. 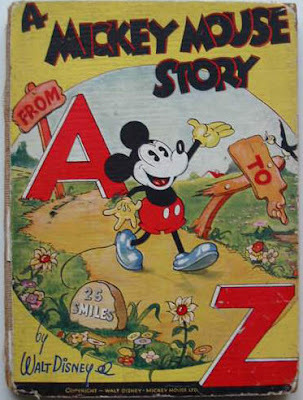 There is a 1936 Whitman book titled A Mickey Mouse Alphabet Book with an identical cover art, but since Collins' book is undated, it is hard to know which one came out first. 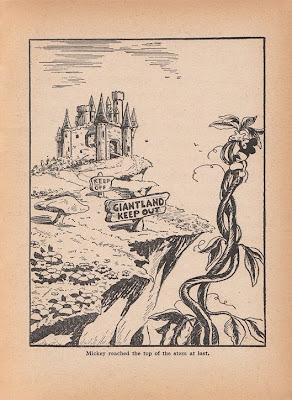 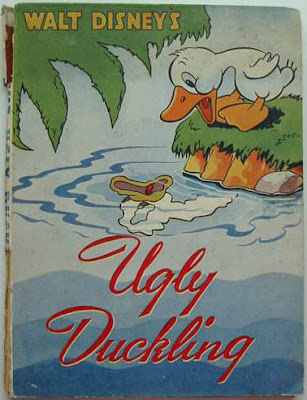 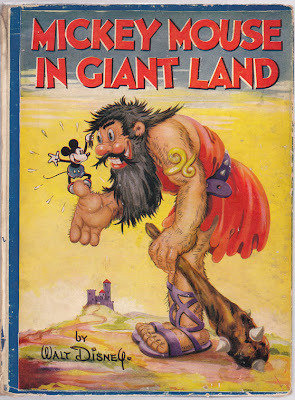 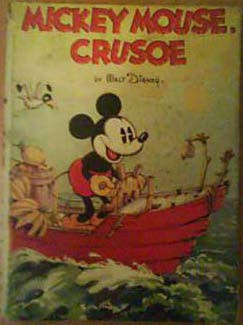 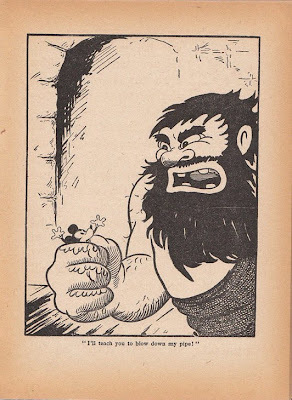 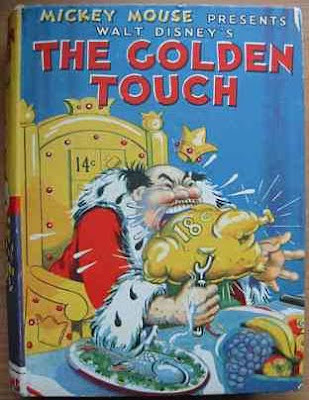 In 1937, Collins published Don Mickey, in a similar format to the cartoon-derived books but with a original story; this book will later be covered in a separate post in this blog. 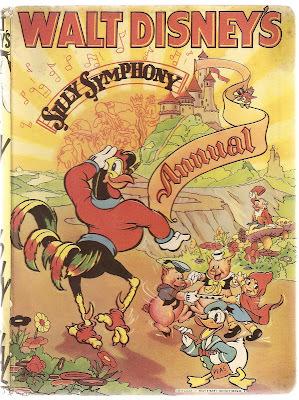 This would remain a one-shot annual, as Collins would begin issuing Donald Duck annuals from 1938 onwards. 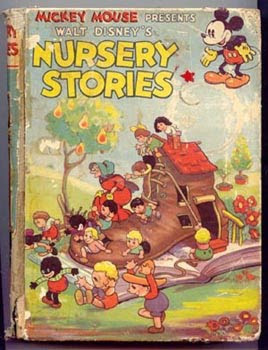 Following the release of Disney's first feature-length animation, Snow White and the Seven Dwarfs (1937), Collins published several publications derived from this movie, including coloring books.